I remember watching CatDog when I was younger. It was a hilarious show that included some witty banter, but I loved watching it. When I received the complete series to review, it was nice going back down memory lane. The hubby and I watched a few episodes and laughed at all the silly, crazy adventures these brothers get themselves into. It's so nice to see that most of the shows I use to watch as a kid is now out on DVD for the first time ever to re-watch again. Now you can watch the complete series yourself, the DVD is now available for you to add in your collection. You can get the complete series exclusively at Walmart. Disclosure: All opinions are my own. 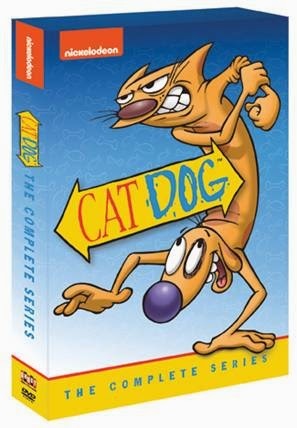 I received CatDog: The Complete Series on DVD at no cost for the purpose of this review. No other compensation was received.